TV Derana and Ada Derana picked up several top awards at the Raigam Tele’es 2018 – The Nation’s Tele Awards. TV Derana and Sirasa TV were declared the joint winners of the award for “Best Media Channel of the Year”. Ada Derana won the award for “Best News Provider of the Year” at the Raigam Tele’es 2018 held at the Nelum Pokuna Theater. Ada Derana’s Kalindu Karunaratne won the award for Best News Presenter of the Year (Sinhala). Dilka Samanmali picked up the Special Jury Award for presenting TV Derana’s “360º” political programme. Raween Kanishka of TV Derana’s “Deweni Inima” teledarama won the award for “Most Popular Teledrama Actor of the Year”. Deweni Inima’s Nayanathara Wickramarachchi also took home the award for “Most Popular Teledrama Actress of the Year”. Meanwhile TV Derana’s “Adhiraja Dharmashoka” picked up the award for Best Dubbed Programme of 2018. 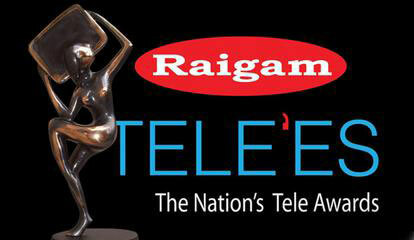 The Raigam Tele’es is one of the most popular television awards ceremonies in Sri Lanka. Raigam Tele’es is being held for the 15th consecutive year at the Nelum Pokuna Theater on Saturday (March 23).